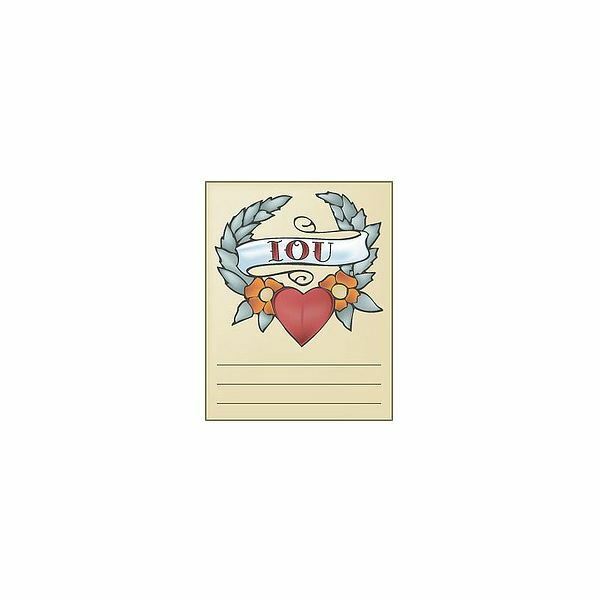 In this guide, you will find many different types of printable IOU certificates. These certificates range from large-size certificates to small coupons. These certificates also differ in styles and colors. There are over 20 certificates you can print between two of the sites, and the last site will allow you to personalize the IOU before printing it. Let's take a look at the IOU resources in this guide and find you that perfect IOU certificate. To view the resources in this guide, please use the links in the resource box at the end of this guide. We will start with the My Activity Maker site. 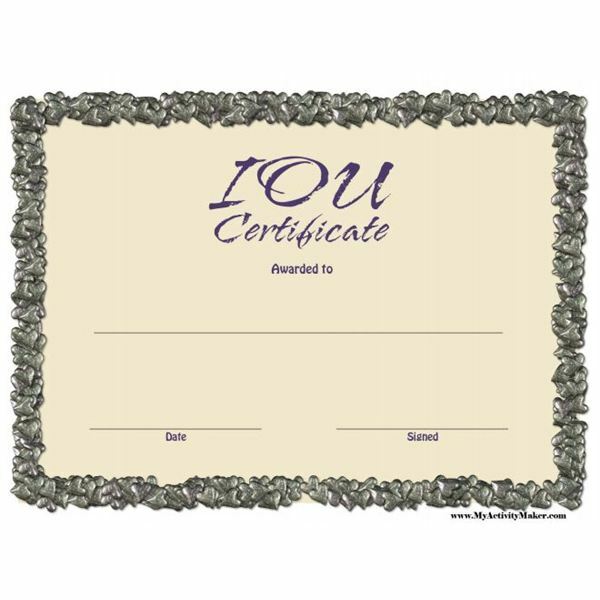 On this site, you will find two printable IOU certificates. There are only two, but the two they have are in certificate form. You can print these certificates and hand-write who it's to, date, and who it's from. The two certificates are different colors and have different borders. These are pdf files you can open and print right from your computer. If you run into a problem trying to print the pdf file, take a look at this guide for help. When you visit the IOU site, you will need to scroll down the page a bit. You will then see a list of printables the site has to offer. Locate the two IOUs and you can open each one in a new tab to view them and decide which one you want. Then you can use the print option in your browser to print the certificate. The next resource on our list is the Free Printables Online site. On this site, you will find many types of IOU certificates. Some of the coupons you will find include ticket-style IOUs, tattoo-style IOUs, colorful IOUs and basic IOUs. There are quite a few styles to choose from on this site, and you are sure to find something that you can use. When you visit this site, you can browse through the different IOUs and find one you like. Then click the image of the coupon you want to use. The next page will be the page you can print for your IOUs. After printing the coupons, you can hand-write what you want on the coupons. If you couldn't find anything on the above two sites, this third site may work best for you. On the last site you're going to find that you can create the IOU certificate you want. You simply choose the type of IOU, the money amount you want to put on it, and customize who it is to and from. You can then select how many copies you want to print and print the coupons.